England, 1605. A family of Catholics must hide their true faith from Protestant pursuivants. 1605 is a time of danger and persecution for English Catholics. Seventeen-year-old Mary Wilshaw and her older brother Rob both come to work at Lyde Hall in the West Midlands - a house where Catholic priests are often hidden from the authorities. Mary, employed by the lady of the house as an embroiderer, falls in love with young David Hawley, the lady's secretary. But nothing at Lyde Hall is what it seems. Who is David? And what dangerous secrets is Rob hiding? Soon Mary herself is in danger as she tries to protect those she loves. 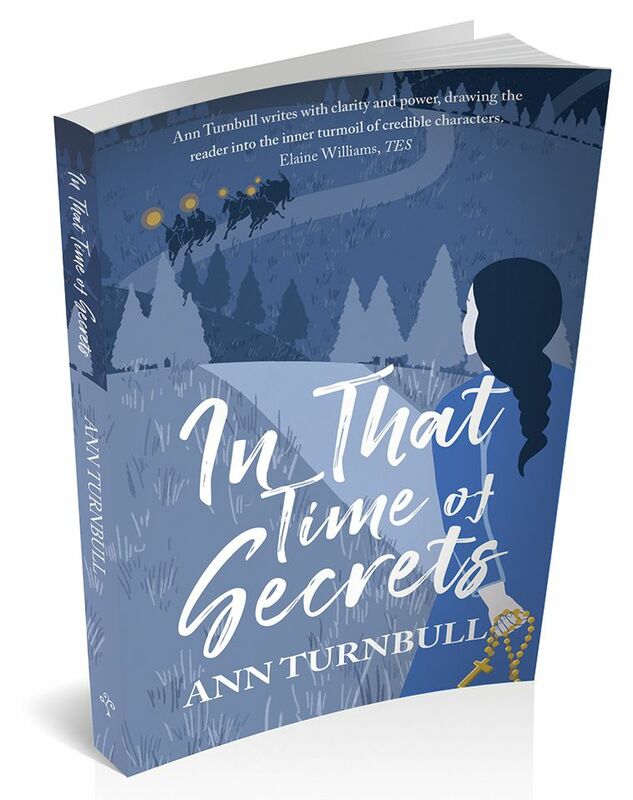 In That Time of Secrets is now available on Kindle, Kobo, Nook and iBooks. Ann Turnbull grew up in south-east London, but moved to Shropshire with her husband and children in the 1970s. She has written books for children and young people of all ages, many of which are historical stories. Her books for young adults include Alice in Love and War (a story of the English Civil War) and a trilogy about the early Quakers: No Shame, No Fear, Forged in the Fire, and Seeking Eden. No Shame, No Fear was shortlisted for both the Guardian Fiction Prize and the Whitbread Book Award (now known as the Costa Book Award). You can visit Ann’s website at www.annturnbull.com. Read the AI sheet for In That Time of Secrets here.